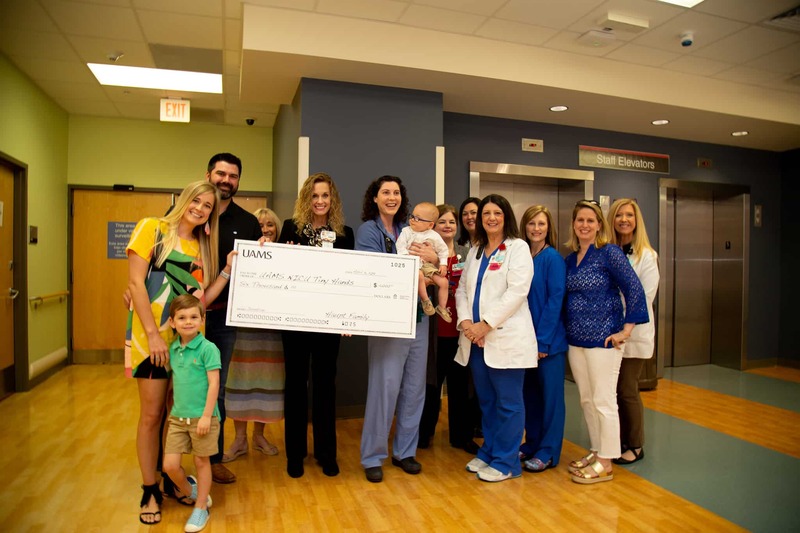 The Haupt Family donates $6,000 to the UAMS NICU Tiny Hands Support Fund. 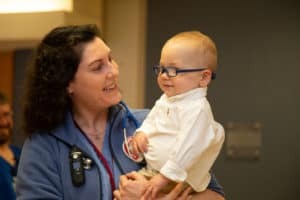 UAMS neonatologist Sara Peeples, M.D. 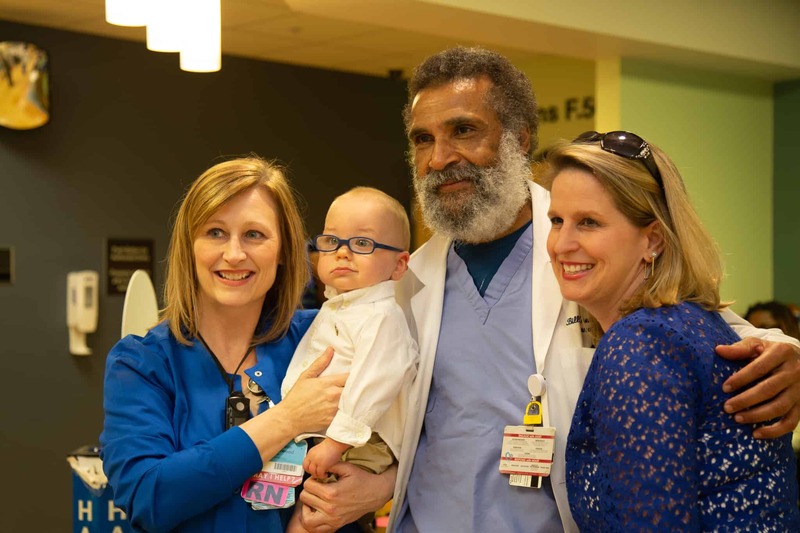 reunites with Hayes Haupt who spent 93 days in the NICU last year. Her husband, Will, held their 1-year-old son, Hayes. Hutch, 4, followed along. The family had not been in the NICU since Hayes was discharged last year after a 93-day stay. They were greeted with dozens of familiar faces all excited to see how big and healthy Hayes had become. It was a challenging year for the Haupt family. 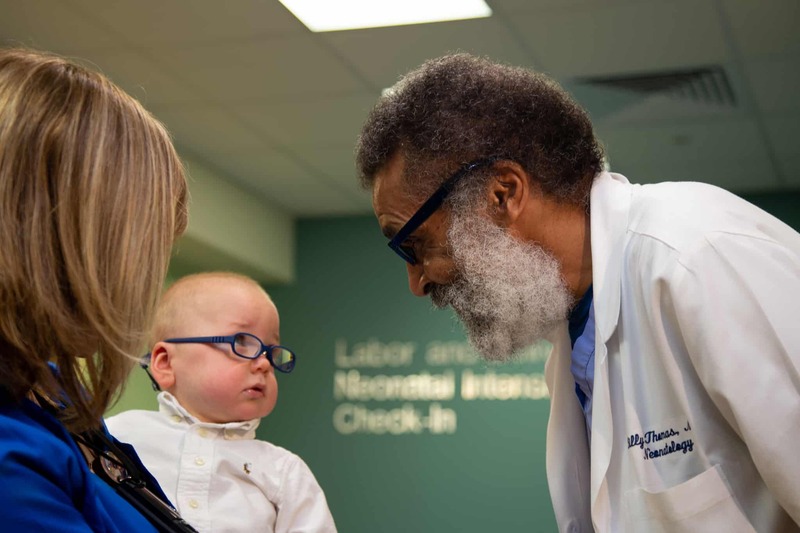 Hayes was born 11 weeks early with a grim prognosis. Now a happy active toddler, Hayes is content to let any and all the nurses and neonatologists hold and interact with him. Hayes Haupt spent 93 days in the UAMS NICU last year. As Hayes was nearing his first birthday, his parents became reflective over the past year and the time they spent in the NICU. They decided that instead of receiving gifts – they’d raise donations to give back to the UAMS NICU Tiny Hands Support Fund. 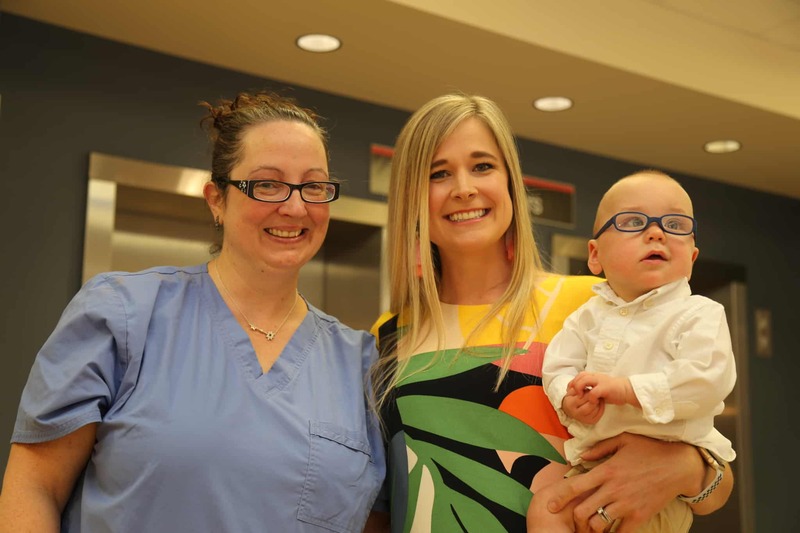 The family presented a $6,000 check to the NICU Staff April 11. They plan to give back in Hayes’ honor every year for his birthday. Neonatologist Billy Thomas, M.D. shows Hayes his own pair of blue-framed glasses. Misty Virmani, M.D. was in the delivery room when Hayes was born.